All the sizes, all your favourite colours. Call for express delivery. We are fortunate to have some great local paddling talent in our area, as well as having some fantastic, fun and interesting environments....most likely one is due to the other ! Anyway, take these two elements and you have great programs for any level of paddler. Keep a check on our calendar for these great trips coming soon. We will be sending out a newsletter with a complete list of times and dates. Day Tripping in the Triangle with Dave White. 18 June. More dates are coming soon, as are dates and details about our Low Country Boil- Paddle & Play Weekend. A correction to a previous post. Fort Pulaski Earth Day event is this Friday, starting at 10am. Earth Day this Coming Saturday. 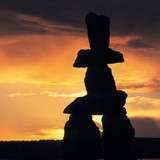 Several events to get you moving and grooving going on around our coastal community. Fort Pulaski are having an Earthy event on Saturday the 23rd....a great picnicking and wildlife viewing venue if ever ther was one. There will also be a Savannah Wheelies Bike Ride through downtown Savannah on Saturday evening...400 bikes jamming the street is always a good time. 4pm @ Bull & Park, Forsyth Park. Come pick up other peoples trash and celebrate Earth Day, free SUP demo's, fun races with minor prizes, and a boatyard BBQ to boot. This event sponsored by the LC Surfrider chapter. The address is 4100 First Street E, St. Simons Island, GA 31522. 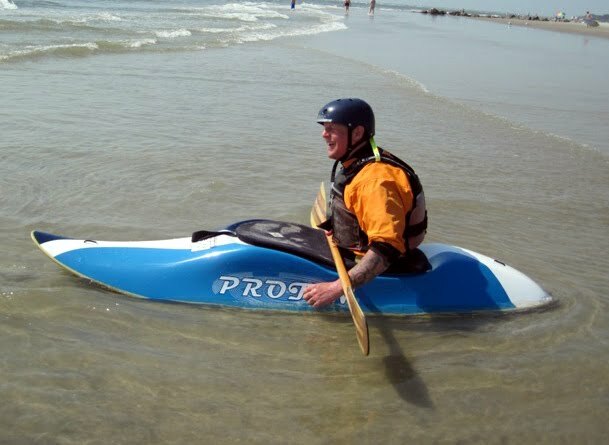 We also have an Intro Sea Kayak class Saturday 10-2 on Tybee. So, lets get wet and dirty, lets get earthy ! 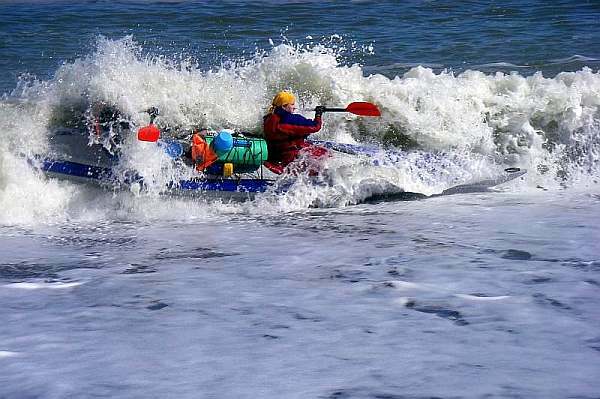 Tybee Kayak Race. June 4th, 2011. For all the latest news and details about this years Tybee Kayak Race there is now a blog. Lots of boat give aways, a Saltwood paddle and other cool stuff this year, plus a kayak 'trot'. We have added the link from our blog...see 'Cup of Tea'. In our surf class at the weekend was Sakhalin Island native, Grigor Beliakov. Not too familiar with this large island north of Japan, off the Kamchatka Peninsula, Greg told us it was one of the best places for sea kayaking. We pushed further and he sent us these trip reports of his adventures back home. Richard and Jessica left Savannah about 8 years ago. 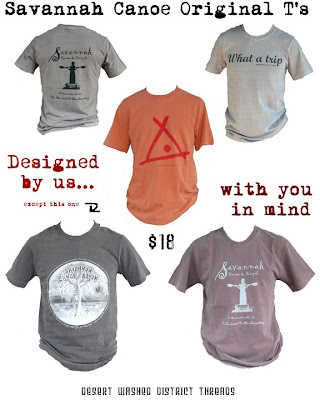 They owned and operated the local camping and outdoor store, Rec Arts and guided for SKG. Saltwood Paddles is the culmination of many aspects of their experience and knowledge. 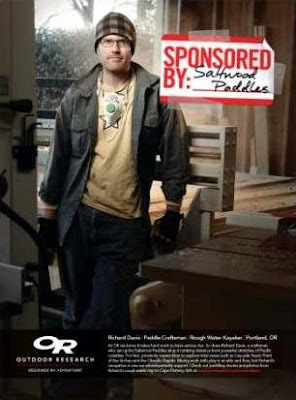 The ad by Outdoor Research is a great boost for this paddlesports micro company. Kudos to OR for this campaign....two birds with one stone ! Saltwood Paddles will be in stock at Savannah Canoe and Kayak early next week. Orders are being filled now. 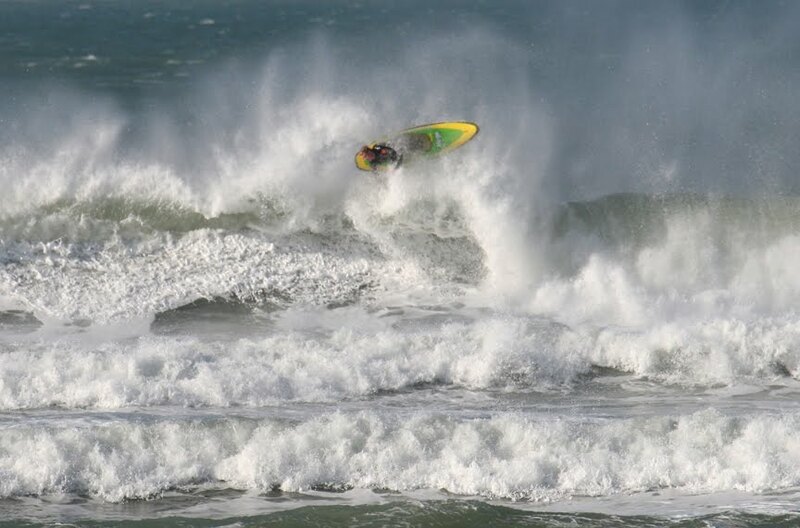 "The aerial weapon of choice"
Here is Jay from the weekend surf class. Weighing in at 185 and just under 6ft, he instantly gelled with the Proton. (see picture again.) This is one comfortable super slider for a wide range of sizes and skill levels. We currently have the Mega Proton in stock in both Standard and S-lite layup. If you want to take a class, do a demo or just come and take a seat, and you'll be glad you did, just give us a ring. Of course, some larger waves would not go amiss, but everybody got the point. Congratulations to Northern Irish team players, Chris Hobson and Andy McClelland at the Mundaka Surf Kayak Championships this weekend. Chris Hobson took 1st place HP category- flying in the Mega Proton. Andy McClelland, also powered by Mega, took 1st in the juniors HP and 1st in the juniors IC class. Once again the NI take home three top awards, and with only two team members in the competition. That's a great reflection on the Northern Irish paddling organization and coaching scheme...Canoe Association of Northern Ireland..well done. In between fetching water, chopping wood, begging and 8 hours of meditation a day, your average monk does not have much 'down time'. Recreational kayaking is so far down the list, it's not funny...infact, it left the list several lifetimes ago. Just recently SC&K Surf Team paddler Dr Kamikazi was in Vietnam, where he did his bit to promote the spiritual side of paddling to the shaven heads. The Buddhist chaps could have been slightly impressed, amused, distracted...difficult to say which. However, gifts were exchanged and prayers for the happiness of humanity were 'thought'. Also during his visit the good Doc administered some head trauma education to rural hospital staff. Well done Doc !.. and that Quarter you lifted from the church collection that time...say no more.